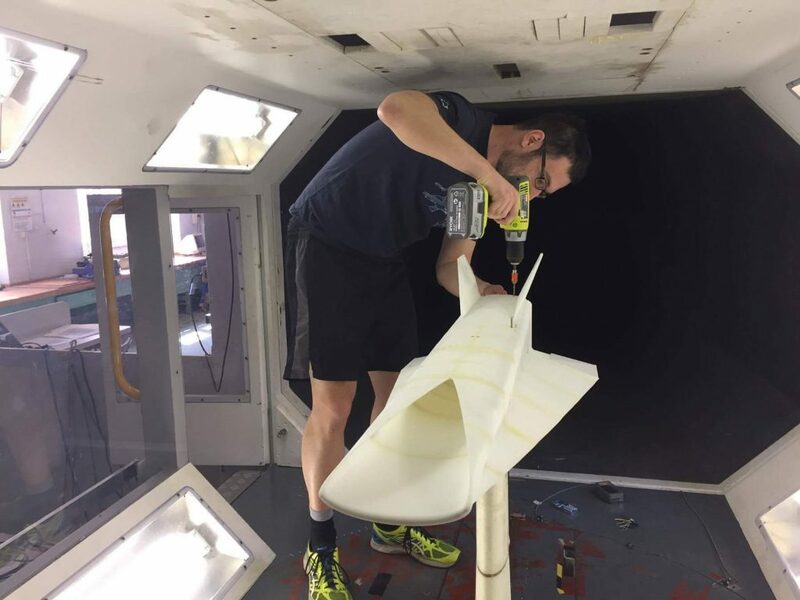 Tamas Bykerk, a graduate student at the University of Sydney in Australia, has used 3D printing technology to create hypersonic aircraft models for low-speed wind tunnel testing. 3D printers have greatly reduced the time it takes to create a working prototype. It also enable him to efficiently explore multiple options by printing various iterations of a part to test and gather feedback on. Bykerk is pursuing a Ph.D. in Aerospace Engineering, supervised by Dr. Dries Verstraete. Both of them are part of the Hexafly-International project where they partner with the European Space Agency (ESA) and Italian Aerospace Research Centre (CIRA) to evaluate the feasibility of commercial hypersonic air travel. In aerodynamics, hypersonic speed is defined as the point where individual physical changes in the airflow (like dissociation and ionization) occur. A hypersonic speed has generally referred to speeds of Mach 5 and above. For decades, atmospheric escape and return vehicles such as NASA’s space shuttles and rocket-propelled research planes have flown at such speeds for short durations. However, commercial hypersonic airliners which require sustained hypersonic flight are still in the concept phase. The Faculty of Engineering & Information Technologies at University of Sydney has 16 Tiertime 3D printers, four of which are in its fab lab, housed within the School of Aerospace, Mechanical and Mechatronic Engineering. Bykerk uses these 3D printers in the construction of hypersonic aircraft models for testing in a low speed wind tunnel. Larger models are 3D printed in ABS parts, then assembled and post-processed to ensure continuity between the original design and the model. Techniques include sanding, gap-filling, sanding again, resin-coating and painting.